Philosophical Disquisitions: Does Life Have Meaning if the Self Does not Exist? Does Life Have Meaning if the Self Does not Exist? Does life have meaning? This is a question that troubles many of us, but we usually ask it from a first-person perspective: Does my life have meaning? Do I matter? What will people say about me when I’m gone? This is natural. Most of us live inside our own heads. We run the inner newsreel all the time, trying to make sense of the unfolding narrative. But what if you think the self is an illusion? What if you don’t believe there is a coherent narrative centre of gravity? In short, what if you embrace the Buddhist ‘No-Self’ doctrine? Must you then become a nihilist? That’s the question that Baptiste Le Bihan poses in his excellent paper ‘The No-Self View and the Meaning of Life’. This paper is a detailed unpacking of what the Buddhist doctrine of ‘No-Self’ entails for meaning. The paper is complex at times, starting out with an extended discussion of metaphysics and the difference between eliminativism and reductionism. It then progresses into a discussion of meaning and nihilism. I want to examine and evaluate its main arguments. I’ll try to keep things relatively simple. This means I will skip over some of the metaphysical stage-setting and focus specifically on the sections that deal with the meaning of life. At the outset, it’s worth noting (as Le Bihan does) that this analysis won’t consider whether or not the No-Self doctrine is true. You’ll have to go elsewhere for that. The focus here is on what follows if it is true. I promised not to get into the metaphysical weeds, but a little bit of this is necessary. If we are going to assess the consequences of the No-Self doctrine, then we’d better have some sense of what that doctrine actually states. You might have a passing familiarity with it. You might know the basic idea: the ‘self’, as traditionally conceived, does not exist. But that’s not particularly helpful since the ‘self’ is not always well-defined. So let’s just introduce a conceptual distinction between the ‘self’ and the ‘person’. On this distinction, the self is the conscious experiencer. As you read this article, the self is the one doing the reading; the one watching the movie unfold. The person is something else. 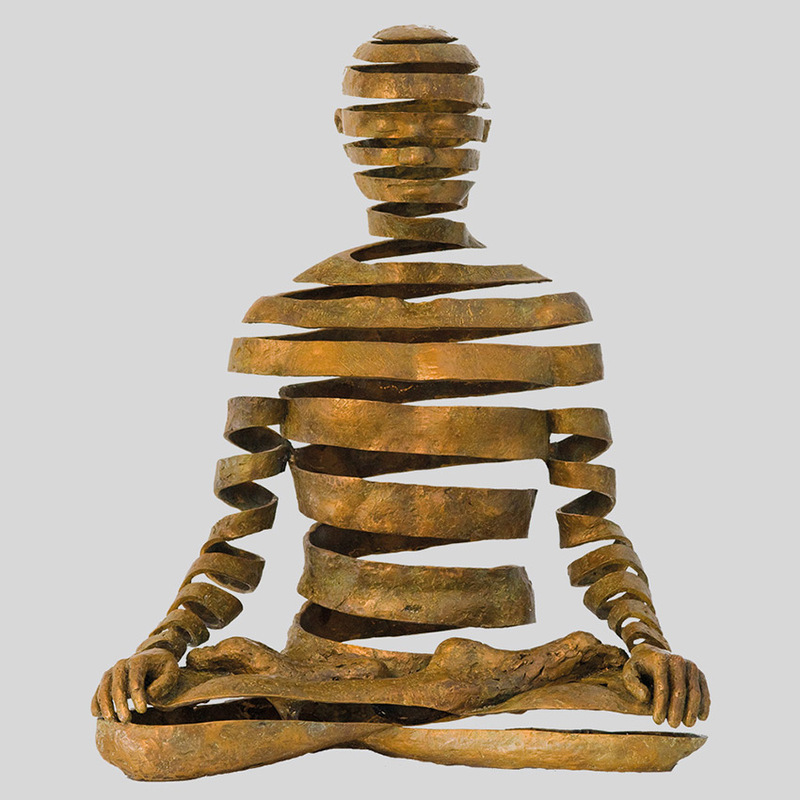 The person is the extended self — the bundle of dispositions, desires, memories and traits that define who you are. The two are often, and for valid reasons, discussed side by side but it is worth keeping them distinct when understanding the debate about the No-Self doctrine. Let’s now introduce another conceptual distinction: the distinction between eliminativism and reductionism. Eliminativism is a metaphysical theory that is applied to specific facts (or objects/states of affairs). It is the view that these facts do not exist. If I was an eliminativist about chairs, for instance, I would argue that chairs don’t really exist. All that actually exists is a particular arrangement of atoms or particles that we happen to call a ‘chair’ through linguistic or social convention. But this linguistic convention has no reality outside of our practices. It does not carve nature at its joints. This is to be contrasted with reductionism, which is the view that specific facts really exist, but they can be reduced to other facts. If I were a reductionist about chairs, for instance, I would argue that chairs really exist (they are more than a mere linguistic convention) but their existence is reducible to facts about the arrangement of matter. The distinction here might seem subtle, but it is significant. Applying this distinction to the present context, eliminativism about the self is the view that the self does not exist — at all. In other words, there is no single conscious experiencer; there is no one watching the movie inside your head. There is just a concatenation of conscious thoughts popping in and out of existence. The sense that all of these thoughts are being thought by one single thing is just an illusion, one that can be dispelled through philosophical reflection, scientific investigation, meditation and/or the use of psychedelics. This kind of self-eliminativism is the essence of the No-Self doctrine. Reductionism about the self would be different. It would entail that the self has some reality, but is reducible to facts about particular conscious experiences and events. Does eliminativism about the self entail eliminativism about the person? Not necessarily. Many people who espouse views that are sympathetic to the No-Self doctrine maintain that there is some reality to the person. In fact, eliminating the self and reducing the person may be the most common view among contemporary Buddhist philosophers (Le Bihan cites some examples). They don’t think that the person has some independent metaphysical existence. They think that the fact that you are you is reducible to facts about your mental and psychological makeup. These facts are then grouped under a single common label (‘you’ and ‘me’) by convention, but these conventions are not completely unwarranted. Interestingly, Le Bihan rejects this common view. He thinks if you are an eliminativist about the self you should also be an eliminativist about the person. I won’t go into his argument here — the gist of it is that if you are an eliminativist about some conventional truths then you should be one about all conventional truths — but this is the stance he takes and it may be important when it comes to assessing his claims about meaning. Now that we are bit clearer about the No-Self doctrine we’ll need to get a bit clearer about the nature of meaning. Le Bihan has a long discussion of this in his article. 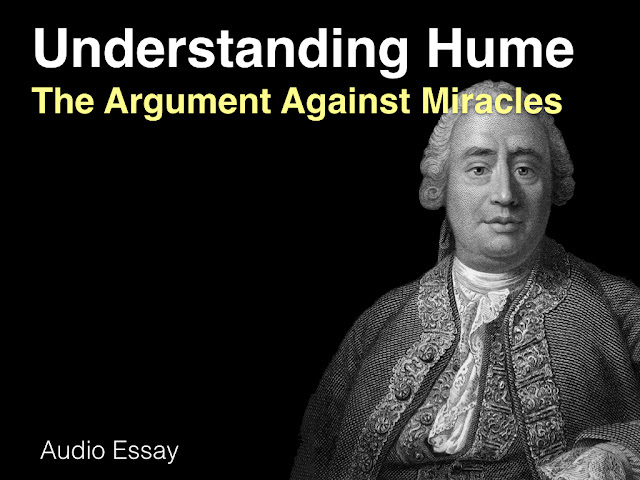 He follows the framework for understanding different theories of meaning that has been set out by Thaddeus Metz in his Stanford Encyclopedia of Philosophy article. The framework distinguishes between sources of meaning and conditions of meaning. If you are naturalist about meaning, then you think that meaning has to be sourced in facts and features of the natural world (i.e. the world in which we live and breathe, not some non-natural spiritual realm). If you are a supernaturalist about meaning, then you think that meaning has to be sourced in facts and features of some supernatural spiritual world (i.e. a world of spiritual beings and souls). Within naturalism, there are three main schools of thought concerning the conditions of meaning. There is the subjectivist school of thought, which holds that life has meaning if you have the right kind of subjective experience and engagement with the world (e.g. you experience a lot of pleasure, satisfy your desires etc). There is the objectivist school of thought, which holds that life has meaning if you make the right kinds of changes to the world around you (e.g. make the world a better place, discover some truth, create some work of art). And then, finally, there is the hybridist school of thought, which holds that some mix of subjective and objective conditions is required (e.g. you must be subjectively satisfied by making the right changes to the world around you). Within supernaturalism, there are also three main schools of thought. There is the ‘God-centred’ school of thought, which holds that life has meaning if you satisfy some plan or condition that God (or many gods) has set out for you. There is the ‘soul-centred’ school of thought, which holds that life has meaning if you maintain the purity and integrity of your immortal soul (e.g. if your soul has everlasting existence). And then, finally, there is another hybridist school of thought that claims that a bit of both is required (e.g. the standard Christian view that meaning is to be found by believing in God and living/worshipping him, forever, in heaven). I have tried to illustrate these different approaches to meaning in the image below. There is, of course, another school of thought that has been left out: nihilism. This is the view that life has no meaning. This has been deliberately left out even though it may be intellectually respectable. Why so? Because the purpose of Le Bihan’s article is to figure out if the No Self doctrine leads to nihilism. To do this, he needs to consider the knock-on implications of the No Self doctrine for all the non-nihilistic schools of thought. This is the task for the remainder of this post. If at the end of that we end up endorsing nihilism, so be it. We have to at least entertain the possibility of non-nihilism before we do that. Let’s start by considering the compatibility between the No-Self doctrine and supernaturalist accounts of meaning. The No-Self doctrine is obviously incompatible with soul-centred theories of meaning. This is because the No-Self doctrine denies the existence of a soul. A soul is some metaphysically unique and unitary self that exists apart from the physical world. If you believe in the existence of a soul then you are, by default, denying that the self can be reduced or eliminated. You are saying that the self is an irreducible and metaphysically fundamental entity. If there is no self, then there is no soul and hence no soul-centred meaning. It follows from this that there cannot be a hybridist theory of supernatural meaning that is compatible with the No-Self doctrine (since hybridist theories also presuppose the existence of a soul). God-centred theories of meaning are different. The essence of a God-centred theory is that meaning exists outside of the human world and the human self. It is something injected into our reality by a supernatural being. Meaning is, consequently, not dependent on any facts about the self — at least not necessarily. If God has some plan for the universe, then that plan could apply to a world lacking metaphysically unified selves. Le Bihan admits, however, that most traditional monotheistic views seem to rest great weight on the idea of a personal God who makes humans in his image. The question then arises: if we are not persons/selves in a metaphysically unique and fundamental way, how can we be made in God’s image? To the extent that this ‘personalist’ view of God is essential to meaning, then there could be some tension between God-centred views and the No-Self doctrine. But it doesn’t have to be this way. If you get away from the idea of personal God, then a God-centred theory of meaning could make room for the No-Self view. 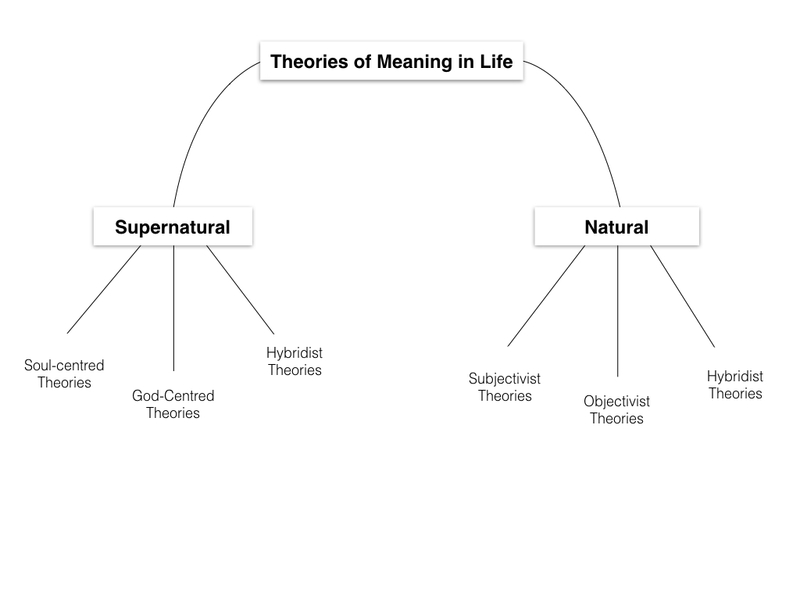 What about naturalist theories of meaning? Le Bihan is a firm believer in the compatibility between these theories and the No-Self doctrine. If you are a naturalist subjectivist, for instance, you probably think that meaning derives from subjective satisfaction or fulfillment. There is no reason why there must be a single, unitary self experiencing these states in order for these conditions to be satisfied. A bundle of discrete, moment-to-moment experiences can involve satisfaction or fulfillment. The same is true if you are an objectivist. In that case, you’ll think that meaning comes from producing the right kinds of causal effects in the world (making things better etc.). The meaning is, consequently, derived from something other than the self. You don’t need to have (or be) a self to have meaning. It follows from this that hybridist naturalism is also compatible with the No-Self doctrine. Perhaps one will object that naturalists like [Susan] Wolf do require a subject to be actively engaged in pursuing objective value. However, we may understand the situation in the following way: proper parts of the collections of entities we falsely identify as selves, may collectively instantiate normative properties, and may collectively pursue objective value. The search for meaning is genuine here— but this is not the quest of someone. This is the quest of a plurality that perceives—or thinks of—itself falsely as a singularity. That’s the general overview of Le Bihan’s take on meaning in a world without selves. Can anything more specific be said? Yes it can. The most interesting part of Le Bihan’s article — at least to me — is his discussion of the compatibility between the No-Self doctrine and a particular subset of theories of meaning that we can call ‘transcendence theories’. The examples discussed in Le Bihan’s article are all naturalistic in nature, though one could imagine supernaturalist versions of them as well. These theories share a common intuition: that in order for life to have meaning we must transcend our natural limits, i.e. somehow get beyond ourselves. Both Robert Nozick and Thaddeus Metz have defended versions of this. The problem of meaning itself is raised by the presence of limits. Thus, typically, people worry about the meaning of their lives when they see their existence as limited, perhaps because death will end them and so mark their final limit. To give life meaning is to seek to transcend the limits of one’s individual life. He then goes on to suggest that there are two ways to transcend our limits: (i) by connecting with external things that remain external to us and (ii) by connecting with external things and either bringing them within us or integrating ourselves into some larger identity. This might sound obscure and abstract, but when you think about it in practical terms it resonates with how many people conceive of meaning. You derive meaning by being involved in some project (strategy (i)) or group (strategy (ii)) that is bigger than yourself and to which you make some important contribution. Think about the scientist trying to solve the riddles of existence or the soldier nobly sacrificing herself for the good of the nation. They are finding meaning in a very Nozickian way. Nozick seems particularly keen on the second strategy, suggesting that meaning really comes from transcending your limits by connecting with a ‘larger organic unity’. Metz’s transcendence theory is a little bit more relatable. He defines transcendence in relation to our animal nature. We each have an animal nature, a relic of our evolutionary past. We are subject to its instincts, drives and emotions. Metz suggests that meaning comes from transcending the limits of this animal nature and realising a more rational, intellectual ideal. Of course, we all do this to some extent anyway, but Metz argues that true self-transcendence requires going beyond the animal self to a greater degree than normal people do. Thus, far from being at odds with eliminativism, Nozick’s naturalist transcendence view inherits an interesting interpretation…: a life is meaningful, to quote him again, by its “connecting with external things that remain external, and connecting with things so as somehow to incorporate these things, either within ourselves or into an enlarged identity”, but also, through a third path, by dissolving the very organic unity we are supposed to be, namely, by consciously erasing our perception and conception of the limits between the alleged self and the external world. Le Bihan goes on then to argue that this is consistent with the traditional Buddhist view of enlightenment, i.e. we overcome our innate, animalistic suffering by dissolving the illusion of the self. In summary, our traditional conception of meaning can seem quite self-centred. We tend to care about meaning from a first person perspective, and tend to presuppose the existence of a coherent, unitary self when thinking about the topic. But if we scrutinise the traditional theories of meaning in a little more detail, we find that they are compatible with the non-existence of the self. Indeed, the only theory that is clearly inconsistent with the No-Self doctrine is the religious, soul-centred theory. Every other theory can be reinterpreted to accommodate the doctrine.